We have entered and invested in a partnership that will advance R&D and overall excellence in the industry throughout the continent. 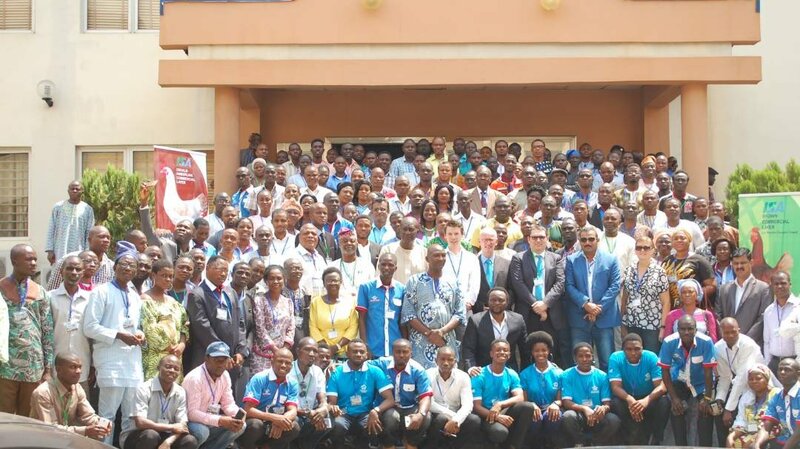 CERSA (Centre d’Excellence Régional sur les Sciences Aviaires) and Hendrix Genetics are working towards unlocking African agricultural potential with a new collaborative project. At the end of 2017, a partnership was signed with CERSA in the Togolese capital of Lomé. CERSA is one of the six agricultural centers of excellence in Africa. We, Hendrix Genetics, supplied one-day old layer chicks from three different genetic lines for research as well as made a financial contribution to advance the poultry industry throughout the continent. The poultry industry, particularly laying hens, is fairly unique in the world. It is one of the few protein sources that are universal to all regions. The versatility of laying hens to produce affordable and convenient protein in the form of eggs and meat has fueled its popularity. This presents great opportunities as well as challenges, as products are adapted and optimized for different environments and management systems. Africa is full of agricultural potential as it is rapidly developing with a young population that is also the fastest growing in the world. According to UN estimates, between now and 2050, half of the world’s population growth will take place in Africa. This future surge in demand makes this continent a priority for agricultural investment and development. It is for this reason Hendrix Genetics is partnering to foster both expertise and R&D for laying hens in Africa. Since February of this year, the project has been successfully running in new facilities built at the University of Lomé. The team includes one professor, a post-doc, PhD students, Master students and laboratory technicians. Their work will advance the layer industry in Africa and will help set the foundation for productive and efficient egg production to meet the growing demand for affordable protein. Initiatives like these help Hendrix Genetics fulfill our commitment to Better Breeding Today for a Brighter Life Tomorrow. Through collaborative and innovative action taken in a sustainable manner we are working to create value for the entire protein value chain in Africa and around the world.